Gledhill is going to The Marlies! Posted on January 22, 2019 | Comments Off on Gledhill is going to The Marlies! 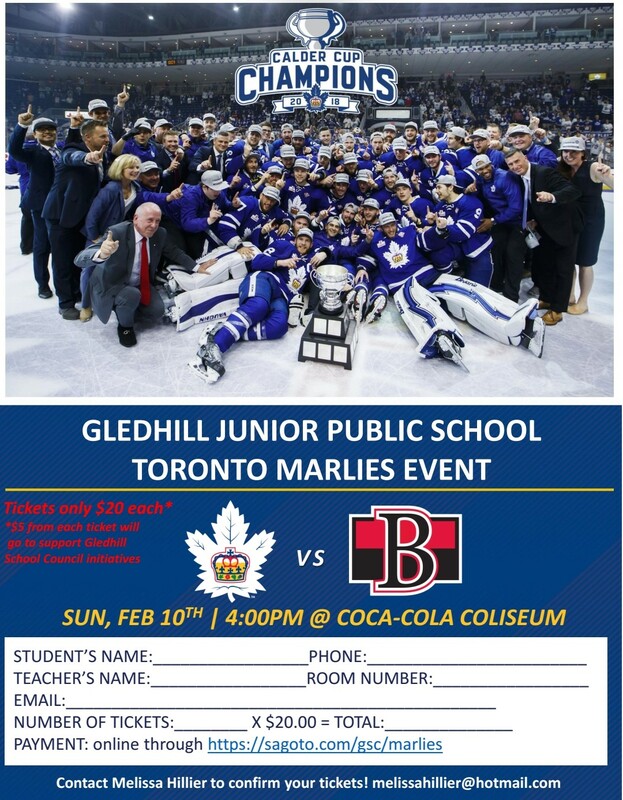 Gledhill familes and friends are headed to The Marlies game on Sunday, February 10th. Come cheer on our home team while helping raise money for our school council supported programs. By completing the form below and bringing cash or cheque (payable to Gledhill School Council) to the office. Marlies will not be issuing replacement tickets if tickets are lost.